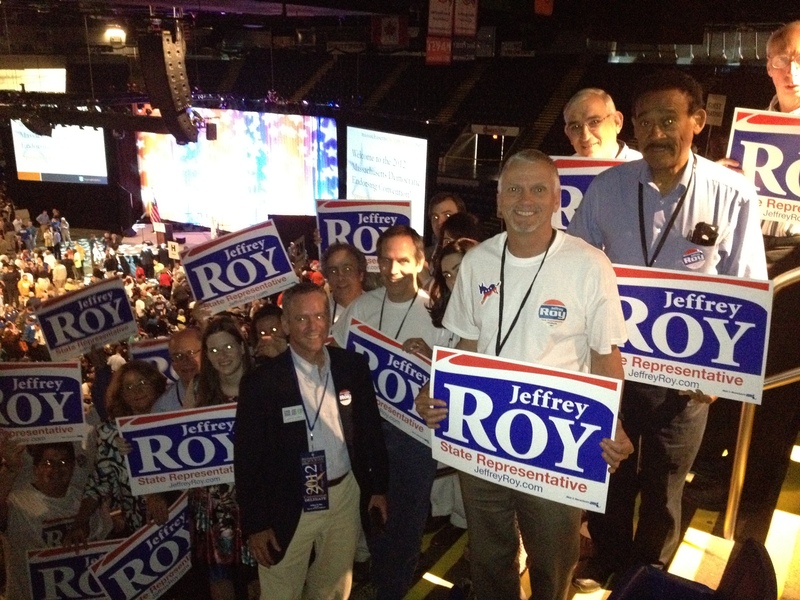 We participated in an extremely successful Democratic State convention last weekend. An estimated 3,500 delegates (including 14 from Franklin and 12 from Medway) traveled to Springfield to work on business for the 2012 elections. At the convention, U.S. Senate candidate Elizabeth Warren received the endorsement after capturing support from 96% of the delegates. We also heard passionate speeches from Gov. Deval Patrick, U.S. Rep. Jim McGovern, and a host of other political leaders from across the Commonwealth. You can view the Governor’s rousing speech by clicking here. Our campaign had a strong showing at the convention, and I thank the supporters from Franklin and Medway who were there with us. It’s now on to the primary on Thursday, September 6, 2012.